As I’m sure is the case with you, I am constantly getting pinged with notifications of the latest newsletter, or article, or tweet about an article, regarding the latest buzz-worthy topic I need to know about getting more customers. And of course, they are all very pressing. (Read with heavy sarcasm.) What I always try to look for within these pieces is data; facts to back up the author’s point, such as a sound survey or data gathered from a reliable source. Otherwise I’ll just be hyping myself up for something that may just be someone’s opinion, not necessarily actionable or applicable for my business. This was the notification I got just a few short hours ago, and it made me think… ALREADY?? I get it – things are constantly evolving as the technology landscape changes, but I have clients that are still struggling with the mobile aspect of digital marketing. How can I go in and tell them they now have to redirect and focus on something new? 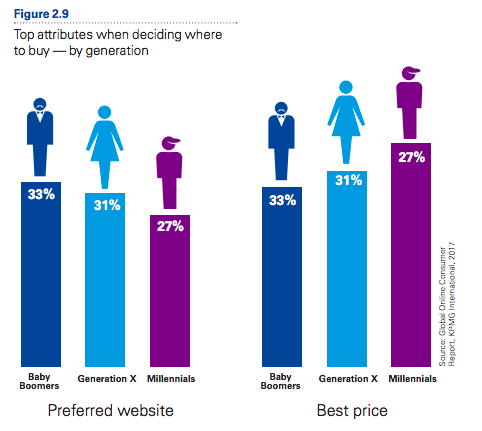 56% of Generation X and Millennials do research about a product online prior to purchase. This means you certainly need to have a solid online presence and product information online if you want sales. 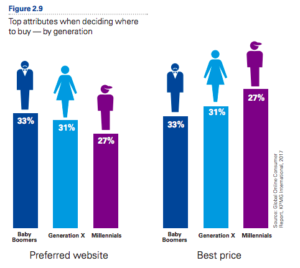 However, when it comes to actual purchase behaviors, 36% of purchases are impacted by the best price, while 30% are based on the best website. How does this support the headline From Mobile First to Customer First? I don’t have a solid answer on that. It would be a stretch to say that having a wholistic brand presence both on- and offline will increase either loyalty or sales. Although I can say that there is a heavy interaction between online and offline sales, and so it makes common sense to have brand consistency. What I can deduce by the data, is that having a meaningful** online presence, both mobile and desktop, coupled with the best price offline, would seem to be the best option to increase sales. I am constantly surprised by the number of high-level executives that rely on competitive analysis as their North Star. Yes, you should know what your competitors are doing, but more than likely, they’re also looking at what YOU’RE doing as well. It becomes a self-serving machine, like those AI programs that invent their own language and eventually take over the world… But I digress. My best answer to drive more brand loyalty, more sales, and more overall growth is to collect your own data. 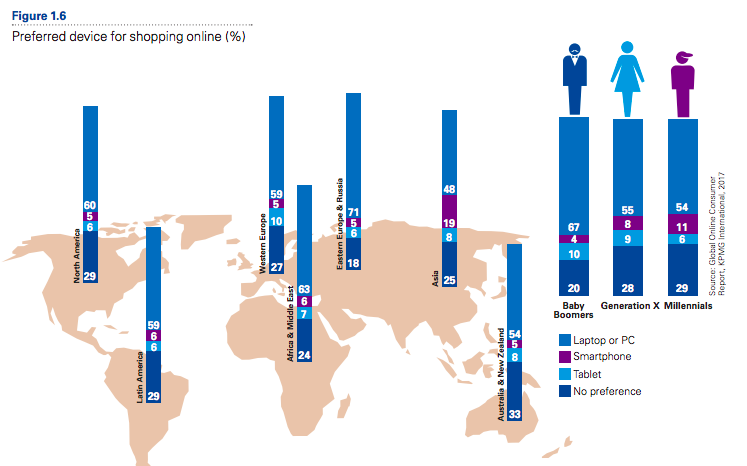 Understand what your customer is doing online, offline, and in between purchases. What are they searching for in Google before they come to your website? Once on your website, what type of content are they looking at around the product? (Reviews, blogs, specs, etc.) What do they talk about in the social sphere when mentioning your products, or industry? How can you seamlessly interact with them so their purchase is easier, and makes them feel they made the best decision? Now take all those alerts that are constantly selling you the latest and greatest trend, and file them away for a later date. And then, ONLY if they have the data to back up their claims. * Nowhere in the study was the breakdown of generations that took the survey indicated. That is to say, 50% Baby Boomers, 25% Generations X, 25% Millennials. The fact they there is a 5% smartphone shopping average in North America, with Baby Boomers at 4%, Generation X at 8%, and Millennials at 11%, tells me the study was probably more than half Baby Boomers. Therefore, the data for overall trends will be skewed. 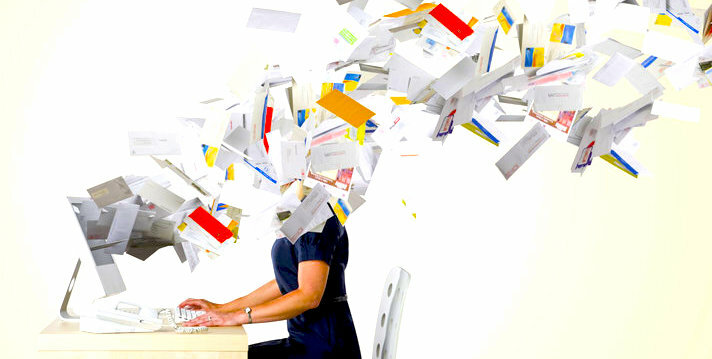 ** A ‘meaningful’ online presence is relative to your customer expectation. Some brands need video-intensive sites and flashy graphics; others need simple cataloguing and streamlined checkout.